Brand new exotic looking hand carved wooden box with an elephant brass inlay on top and sides of the box, these are perfect for storing your little treasures in. 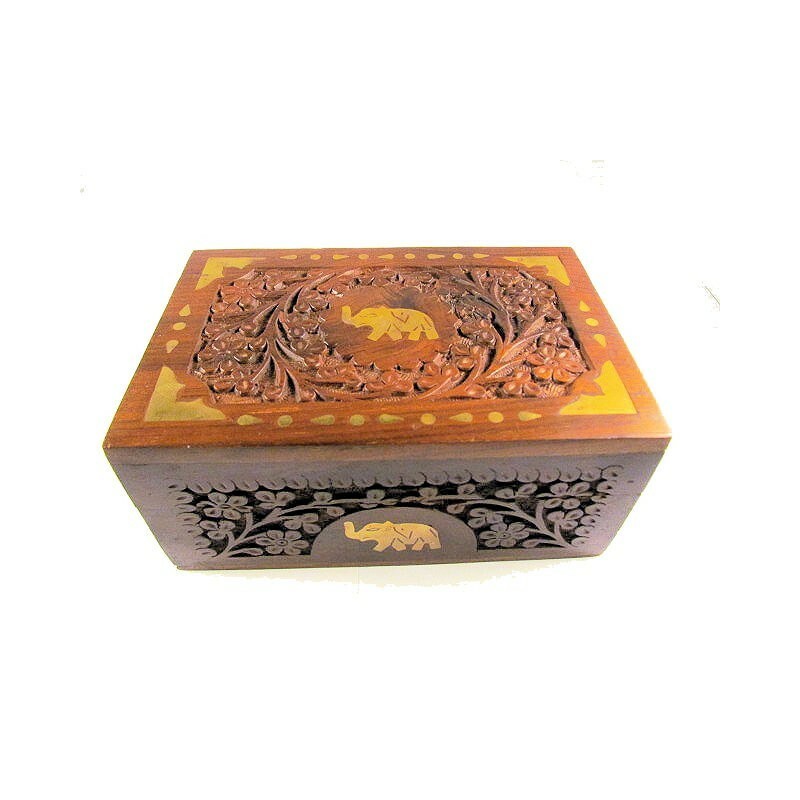 Brand new exotic looking hand carved wooden box with brass inlay of images of elephant on top and sides of the box. Made from Indian Rosewood (sheesham) and lined with luxurious red velvet lining throughout the box interior, the box can be used to store a number of things such as jewellery, keepsakes, or as a great looking decorative item in your living room. Outside measurements - 6" x 4" x 2.5"